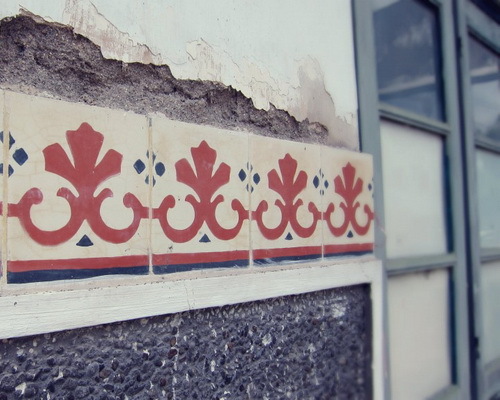 Tinuku ~ Tegel Cap Kunci Factory legendary maintain various models of classic style tiles early 20th century. 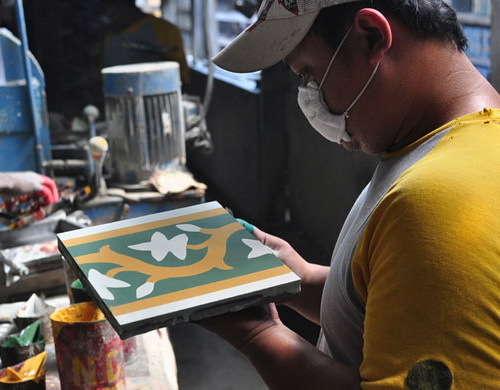 Handmade production techniques even decorate luxurious floor Yogyakarta palace. 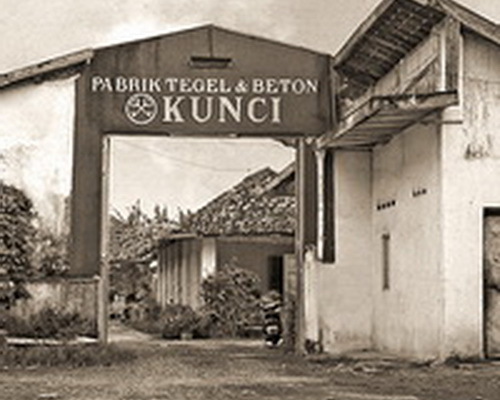 Tegel Kunci factory based in city of Yogyakarta, Indonesia, is in the area of arts and craft boutiques row of luxury Malioboro founded by Louis Maria Stacker and Julies Gerrir Corrane by name Firma Tegel Fabric Midden Java on December 16, 1927. 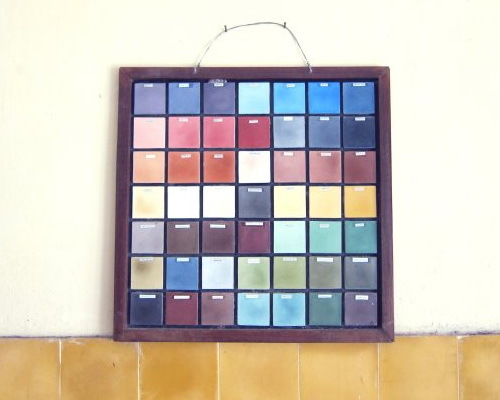 The plant since its establishment has 100 design variants and 49 basic colors found in many cafes, restaurants and hotels to bring décor elements. 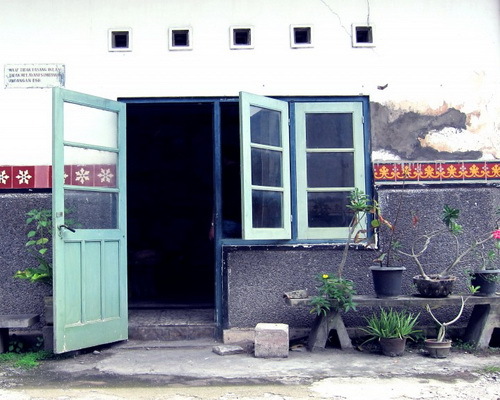 Antique tiles is an exotic relic symbolizes luxury early 20th century. On the floor of the Javanese courts and nobility and officers mansions used Tegel Kunci. 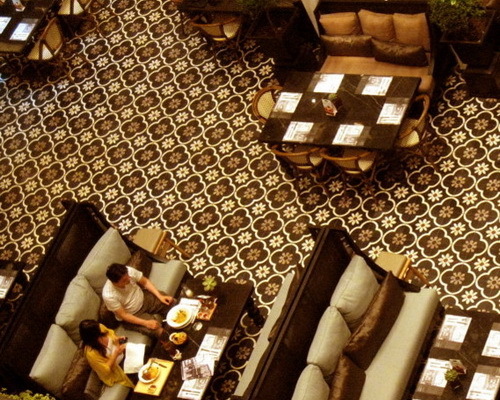 The floor tiles brand remain symbol of luxury, interior warmth and uniqueness of old and modern architectural style to this day. 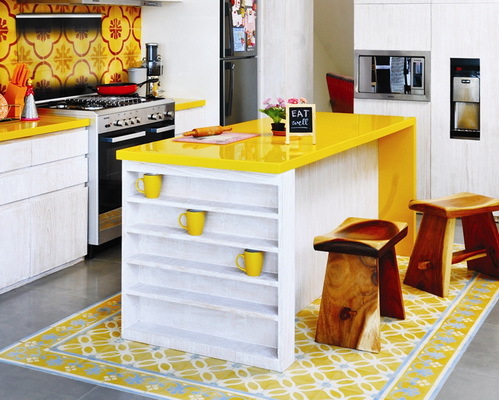 Vintage and retro style never timeless, elements strengthen diverse colors and patterns style. The beauty handicraft products and traditional accent, but it gives exclusive. Tegel not only gives distinctive design, but also has advantages is custom tles product. 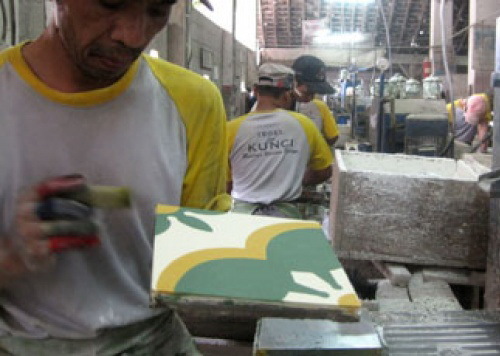 Kunci tiles manufactured in accordance special orders from customers. 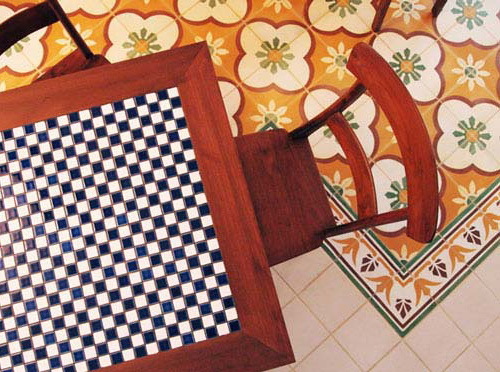 Buyer provides design motif as desired. Handmade product made 30 people actually rely on expertise maker and very weather dependent so it takes five to nine months to wait tiles ready to used. Design standards, but the motive of each unit is not exactly same. 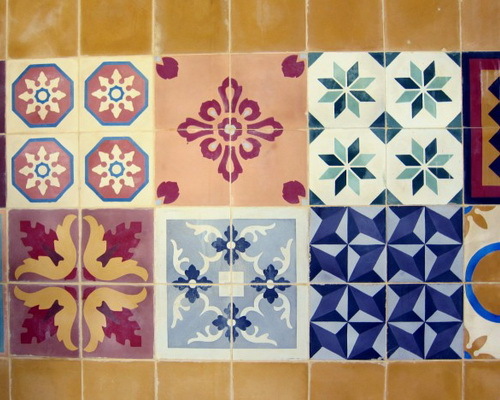 That is uniqueness of handmade tiles. Each tile through printing process, staining, sealing pores and hardening structures take up to 24 hours. Once tiles formed then made final drying takes about 4-5 days. Tiles made into 4 layers are mat, garland, stopper and seals in which each layer should use different formulas depending up to generate motive must make pattern of iron plate. Painting technique using same brush as painting technique on canvas to form motif. A difficult job, if little to make mistakes then it will fall apart motifs and colors be mixed with one another. The layer color should fit size 1 to 1.5 millimeters. 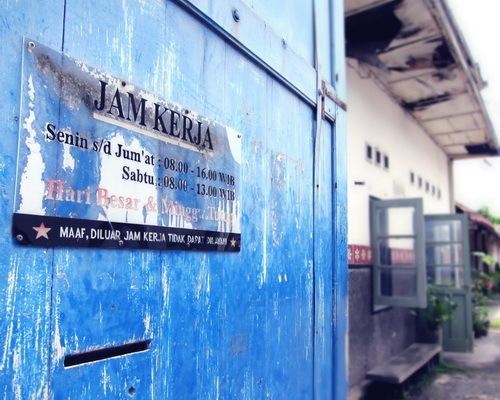 Since its establishment until now the plant maintains classic and unique motifs such as chicken graphic, butterflies, ducks, flowers and batik. 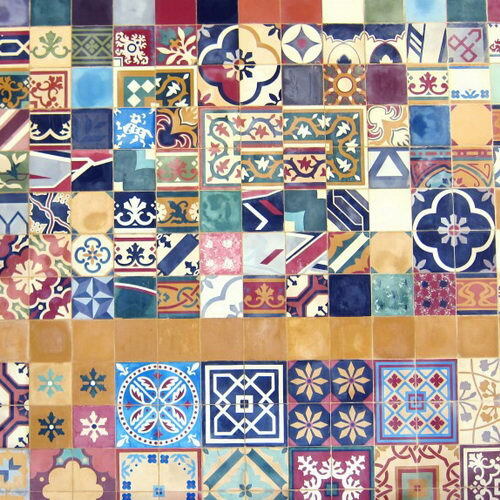 Plain or patterned tiles printed in 30X30, 20x20, 15x15 and 8X8 centimeters. 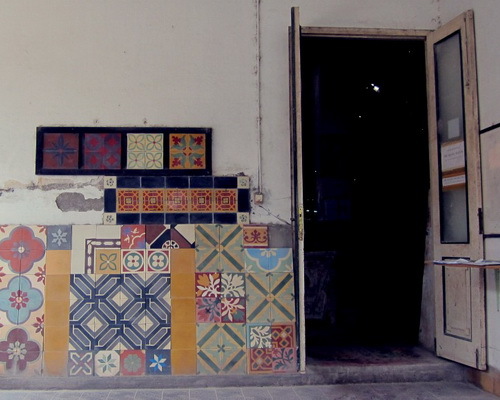 Tegel Kunci tiles as symbol of luxury in factory legendary appreciate history. Owners company after another in 1931 Julies Gerrir Corrane resign and 50 percent of the shares transferred to Liem Ing Hwie. During Japanese occupation of Java island, Louis Maria Stocker fled from Indonesia and ownership held entirely Hwie Liem Ing. 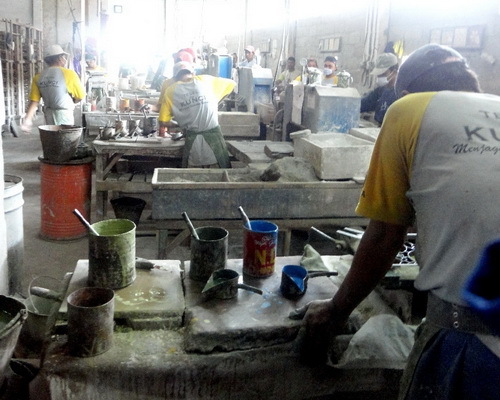 In 1957 the company was taken over by the government of Indonesia and on 20 June 1963 its name to Concrete and Tile Factory and branded Tjap Kuntji. In 1973 the plant was returned to the heirs Liem Ing Hwie is Sulieman. 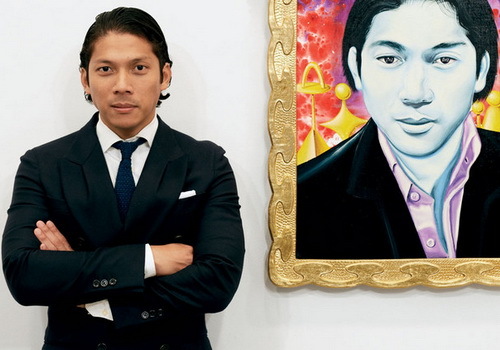 In 1997 unable to compete in modern market later taken over by Matta Art and Craft.